Dorothy Marie Mace, 80 of Wimauma, went to be with her Lord on Tuesday, August 21, in her home after a bout with cancer. The world was changed on January 7, 1938 in Countsville, West Virginia when Dorothy was born to Homer Gobel Hudkins and Emma Casto Southall Hudkins. She married the love of her life, Bobby Edward Mace on September 12, 1958 and he survives. Also surviving are her sister Bonnie Starcher of Spencer, WV, her beloved son, Rev. Jerry L. Mace and his adored wife, Tammie H. Mace of Wimauma, grandson Rev. Kevin Ray Mace and wife, Joyce of Charlotte, NC, granddaughter Velda Mace Register of Swainsboro, GA, and great grandchildren, Titus Jadon Mace, Macey Alyssa Register, Isabelle Linette Mace and Caleb Luke Register. She was proceeded in death by her parents, Homer Gobel Hudkins and Emma Casto Southall Hudkins, bothers Homer Carl Hudkins and Charles Hudkins and a son, Robert Ray Mace. Dorothy retired as a retail manager for Family Dollar Stores, Inc. after 27 years of faithful service. 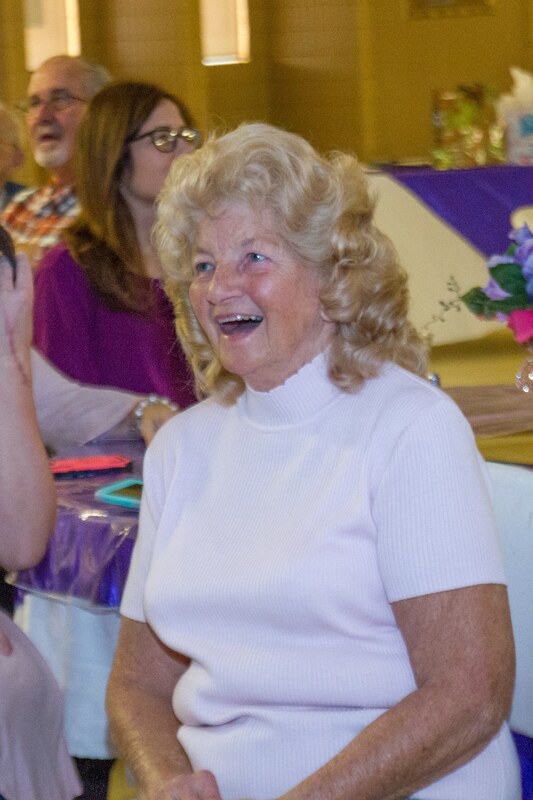 She was a loving member of First Baptist Church of Gibsonton. The visitation for family and friends is from 10 AM until 12 NOON on Friday, August 24 at First Baptist Church of Gibsonton located at 9912 Indiana Street, Gibsonton, Florida 33534. The funeral service will follow immediately after. The interment will be at Lake Wimauma Memorial Gardens. Dorothy requested that in lieu of flowers, memorial contributions be made to Lake Wimauma Memorial Gardens, PO Box 630, Wimauma, FL 33598. We are so saddened by the loss of this precious lady. If there is any comfort to the family, she is pain free; and you will see her again! What a day that will be! We continue to pray for all the family.